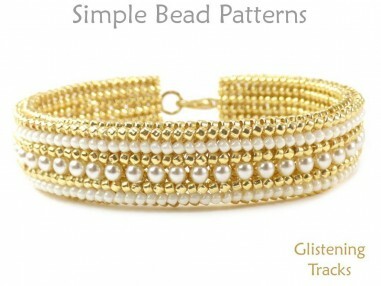 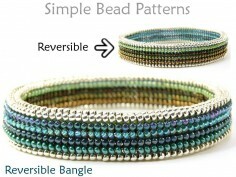 This herringbone stitch beading tutorial will teach you how to make a beaded bracelet with crystals or pearls. 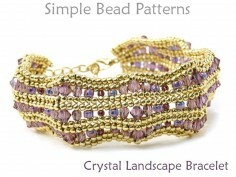 Over 100 bright, clear, close-up photos showing what to do - a photo for each & every step! 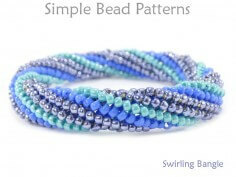 The herringbone beading stitch is probably my favorite of all the beading stitches - I love the unique angle of the beads to each other, and the process of adding the beads and combining stitches that allows you to work faster. 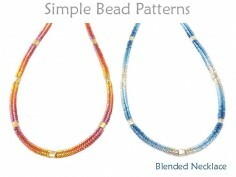 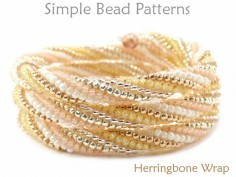 Best of all, beaded herringbone is super pretty and fun to wear! 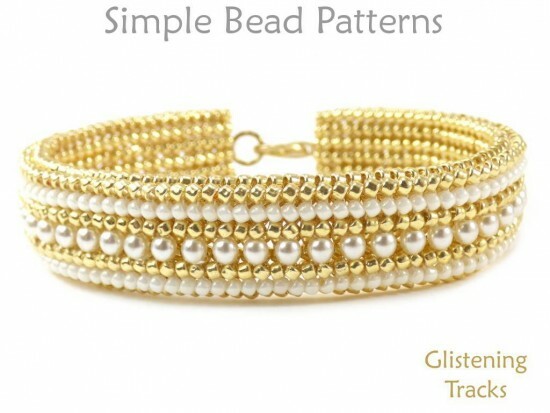 Inspired by a customer request, this Glistening Tracks bracelet measures just over 0.5” (1.3 cm) wide, and features a classy striped design of seed beads and either crystals or pearls on the front, with a smooth seed bead back, making it super comfortable to wear. 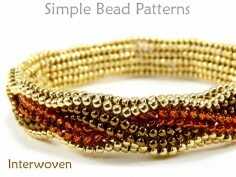 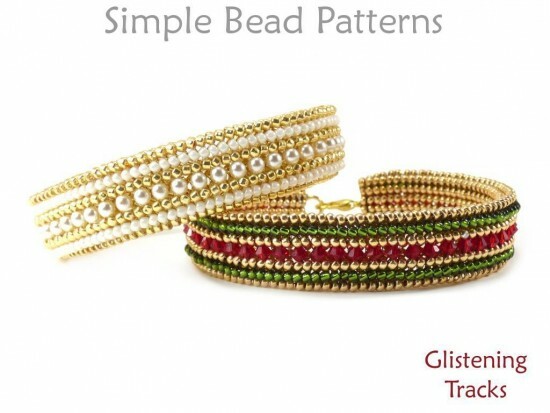 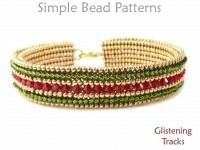 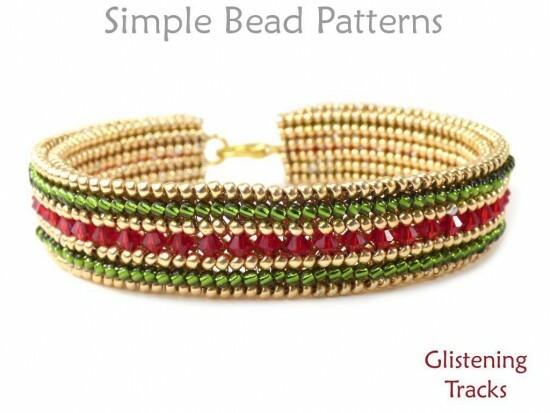 This simple beading pattern includes a detailed materials page, color information, over 100 high-resolution full-color photos and easy to follow step-by-step directions. 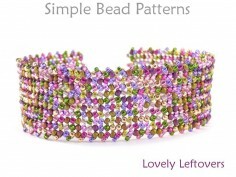 We’ll hold your hand every step of the way, so you’ll be able to easily make this bracelet and be able to show it off to everyone! 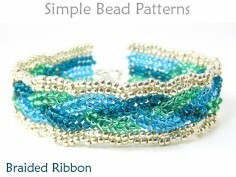 Have fun picking colors and stitching up this chic design. 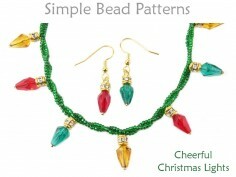 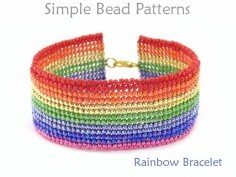 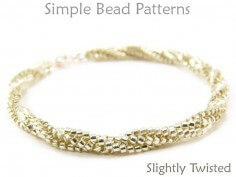 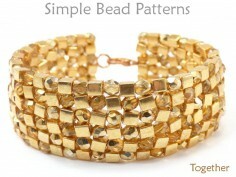 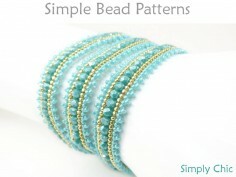 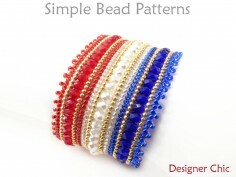 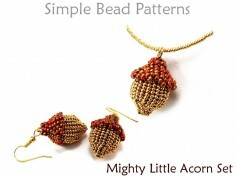 Thank you for shopping Simple Bead Patterns, and bead happy!